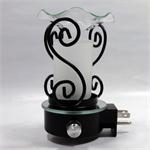 No need for tea lights with open flames or a long cord, plugs directly into electrical socket. 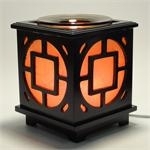 Electric Wooden Aromatherapy Oil Burner. 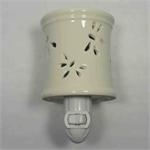 Tea lights are not needed. 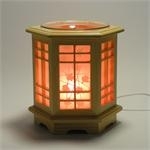 Electric Wooden Aromatherapy Oil Burner. Tea light not needed. 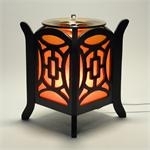 Metal Aromatherapy Oil Diffuser, Electric with glass inset bowl.